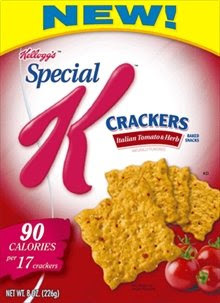 I was afraid the crackers might be bland, but they had a nice burst of flavor in every bite. Each serving of 17 crackers is only 90 calories, which makes this a healthy, crunchy snack. They also come in a multi-grain option, which I'm sure are good. If you see these in the store, I suggest you pick up a box. I know I'll be buying them in the future.